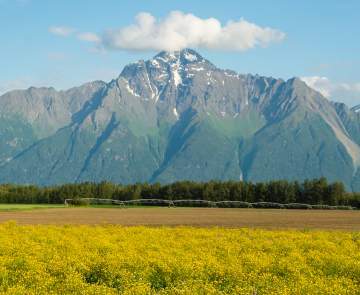 The Glenn Highway is a destination in itself for locals, as it&apos;s the ideal "Sunday drive." It has spectacular views of the Chugach Mountains, the Talkeetna Mountains, Matanuska River, Matanuska Glacier and much more! Often, this is the "road less traveled," meaning you&apos;ll have wide open spaces and less crowds. The area is packed with amazing hikes, lake fishing and off-the-grid adventures. This is a hidden gem in the Mat-Su! 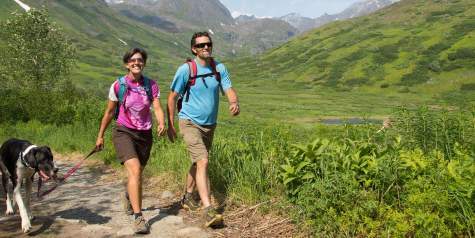 The Knik River Valley offers many ways to get back to nature. Eklutna Tailrace has road-accessible fishing for salmon throughout the summer, making it ideal for those wanting to test their luck just minutes from Anchorage and Palmer. There are guided ATV adventures available that take you right up to Knik Glacier, as well as helicopter and airboat trips to the glacier. At the end of Knik River Road is Knik River Lodge, with a great restaurant featuring great views. Heading north on the Glenn Highway out of Palmer (see Core Area Adventures), make a plan to stop in at Alpine Historical Park. This is another attraction that many locals haven&apos;t visited but should. The park is filled with artifacts and historical information about the Ahtna Athabascans who settled the Chickaloon area hundreds of years ago. Your first glimpse of Matanuska Glacier comes at Mile 100, but you&apos;ll drive beside the Matanuska River for miles before that. The glacier feeds the river and provides plenty of different activities, including whitewater and scenic rafting, as well as glacier trekking. 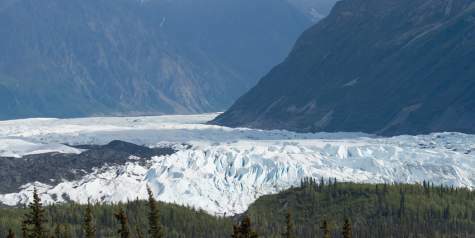 You can drive up to the glacier at Mile 102, but consider taking a guided tour for the best experience - several operators in the area offer very affordable tours that take you to the most amazing places on the glacier. 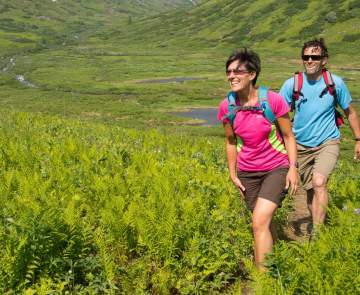 If you wan to hike like a local, try the Sheep Mountain Trails at Mile 113.5 of the Glenn Highway. 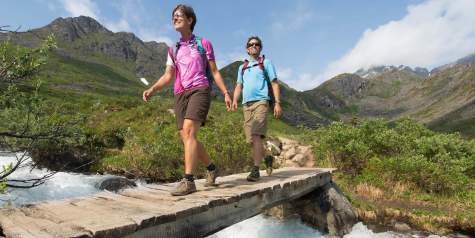 Adjacent to Sheep Mountain Lodge, there are six connected trails that vary in length. 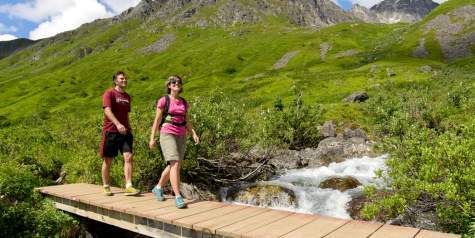 Between exploring the glacier, hiking and the views, you&apos;ll want to spend the night at a lodge or B&B along the route! This is truly a local secret! Lake Louise is an outdoor paradise, with amazing lake fishing, lodges that offer cabins and rooms, an Alaska State Parks Campground and much more. It&apos;s in the far north of the Mat-Su Borough - turn onto Lake Louise Road at Mile 155.8 of the Glenn Highway to access the area. It&apos;s a playground for Alaskans year-round.